Stepanova E. Russia and the International Drug Control Regime: beyond the Global South-North framework, in Beyond the War on Drugs: The International Drug Control Regime in the Twenty-First Century, Oxford University's Changing Character of War Series (Hurst, 2019). 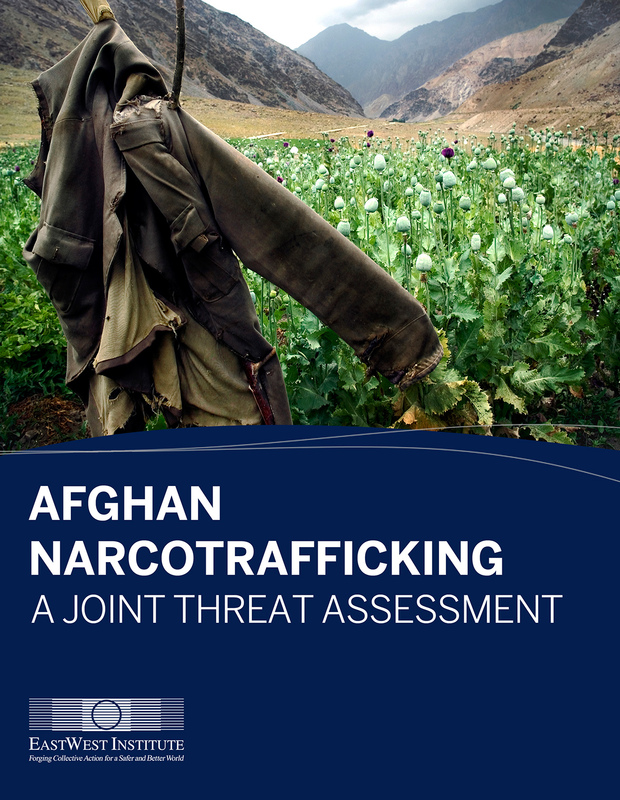 (New York: EastWest Institute, 2013), 60 p.
Stepanova E., Afganskii narkotrafik: sovmestnaya otsenka ugrozy, Report by Joint U.S.-Russia Working Group on Afghan Narcotrafficking (N.Y.; Moscow: EastWest Institute, 2014), 60 p.
(Moscow: Ves Mir, 2005), 312 p., in Russian. See section Narcotics, in Stepanova E., Russia's Afghan Policy in the Regional and Russia-West Contexts, Russie.NEI.Reports, no. 23 (Paris: Institut français des relations internationales (Ifri), May 2018), pp. 1921. See sections Economic cooperation and The Afghan heroin challenge for Russia,, in Stepanova E., Russia's Concerns Relating to Afghanistan and the Broader Region in the Context of the US/NATO Withdrawal (Barcelona: CIDOB, 2013), pp. 56, 1216. See section The challenge of the Afghan opiates, in Stepanova E., Afghanistan after 2014: The Way Forward for Russia, Russie.NEI.Visions, no. 71, May 2013 (Paris: Ifri, 2013), pp. 1116. Stepanova E. Transnational threats: terrorism, drug trafficking, piracy, in A.Dynkin and N.Ivanova (eds), Russia in a Polycentric World (Moscow: Ves' Mir Publishers, 2012), pp. 143150. Stepanova E. Illicit drugs and insurgency in Afghanistan, in Perspectives on Terrorism, vol. VI, no. 2 (May 2012), pp. 4-18. Stepanova E. Beyond `narcoterrorism’: illicit drug business and terrorist tactics in armed conflicts, in The Politics of Narcotic Drugs: A Survey (London: Routledge, 2010), pp. 120130. also available in Chinese, Russian and Ukranian. see also in Spanish: Stepanova E. El negocio de las drogas ilícitas y los conflictos armados: alcance y límites de sus vínculos, Juan Gabriel Tokatlian (comp. ), Drogas y prohibición: Una vieja guerra, un nuevo debate (Buenos Aires: Libros del Zorzal, 2010), pp. 313344. Stepanova E., Does Russia Want the West to Succeed in Afghanistan?, PONARS Eurasia Policy Memo no. 61 (Washington DC: Georgetown University Eurasia Strategy Project, September 2009). Stepanova E., Sections V.1. Counternarcotics; V.4. Prevention of and response to emergencies and humanitarian crises, in I.Yurgens, A.Dynkin and V.Baranovsky V. (eds), The Architecture of Euro-Atlantic Security (Moscow: Library of the Institute of Contemporary Development, 2009), pp. 5661, 6364. Stepanova E., Addressing Drugs and Conflicts in Myanmar: Who Will Support Alternative Development? SIPRI Policy Brief (Stockholm: SIPRI, 2009). Stepanova E., Massive conventional terrorist attack as a threat to critical infrastructure security, in Nayef al-Rodhan (ed. )., Potential Global Strategic Catastrophes (Berlin, Wien, London, Zurich etc. : LIT Verlag, 2009), pp. 253269. Stepanova E., Iraq and world order: a Russian perspective, in Ramesh Thakur and Waneguru Pal Singh Sidhu (eds. ), The Iraq Crisis and World Order: Structural, Institutional and Normative Challenges (Tokyo: UNU Press, 2006), pp. 249264. Stepanova E., Illicit drug trafficking and Islamist terrorism as threats to Russias security: The limits of the linkage, in PONARS Policy Conference, 9 December 2005 (Washington D.C.: CSIS, 2005), pp. 165170. Stepanova E., Russia and the U.S. Policy on Iraq: Conflict of Interests and Limits of Dissent, PONARS Policy Memo no. 249 (Washington D.C.: CSIS, Oct. 2002). Stepanova E., U.S.-Russia cooperation in Afghanistan and its implications, East European Constitutional Review, 2001, vol. 10, no. 10, pp. 9295. Stepanova E.A. 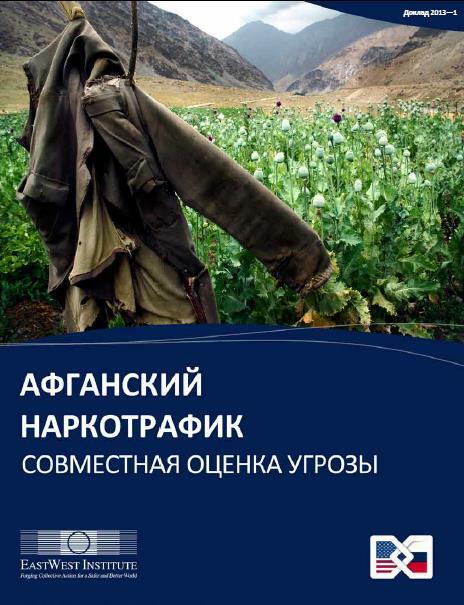 [Russia, the USA and countering the narcotrafficking from Afghanistan], in Pro et Contra, vol. 17, no. 6(61), (Nov.-Dec. 2013), pp. 102119. Stepanova Е. [Transnational threats: terrorism, drug trafficking, piracy], in Alexandr Dynkin and Natalia Ivanova (eds), Rossiya v politsentrichnom mire [Russia in a Polycentric World] (Moscow: Ves Mir, 2011), pp. 141148. Stepanova E. [Armed conflict, crime and criminal violence], in Yezhegodnik SIPRI 2010 [SIPRI Yearbook 2010: Russian edition] (Moscow: IMEMO, 2011), pp. 3967; transl from English. Stepanova E.A. [Large-scale terrorist threats to critical infrastructure security], in Svobodnaya mysl' [Free Thought], no. 4 (2010), pp. 3348. Stepanova E. V.1. [Counternarcotics]; V.4. [Emergency and humanitarian crisis response and prevention], in I.Yurgens, A.Dynkin and V.Baranovsky (eds. ), Arkhitektura yevroatlanticheskoi bezopasnosti [The Architecture of Euro-Atlantic Security] (Moscow: Ekon-Info for the Institute of Contemporary Development, 2009), pp. 8998, 102103. Stepanova E., [Organized crime and terrorism in the world and in Russia], in Vladimir Baranovsky (ed. ), God planety 2007: ekonomika, politika, bezopasnost' [Year of the Planet 2007: Economics, Politics, Security] (Moscow, IMEMO, 2007), pp. 6376. Stepanova E., [Russias humanitarian potential and post-conflict reconstruction], in Mirovaya ekonomika i mezhdunarodnyie otnoshenija [World Economy and International Relations], no. 5 (May 2007), pp. 6578. Stepanova E., [Specifics of the financing of transnational Islamist networks in the context of the fight against international terrorism], in Alexei Arbatov (ed. ), Razoruzheniye i bezopasnost 2004-2005: novyie podkhody k mezhdunarodnoi bezopasnosti [Disarmament and Security 2004-2005: New Approaches to International Security] (Moscow: Nauka, 2007), pp. 145159. Stepanova E., [Illicit drug business and socio-political protest movements in Colombia, Bolivia and Peru], in Eksport vooruzhenij [Arms Exports], no. 3 (MarchApr. 2006), pp. 5662. Stepanova E., [Supression of terrorism financing], in Mezhdunarodnyje protsessy [International Processes], vol. 3, no. 2(8), (MayAug. 2005), pp. 6673, in Russian. Stepanova E., [Illicit drug trafficking and its links to conflicts and terrorism: Afghanistan and Central Asia], in Razoruzhenije i bezopasnost [Disarmament and Security, 20012002] (Moscow: Nauka, 2003), pp. 5772, in Russian. Stepanova E., [Illicit drug trade in Afghanistan and Central Asia in the context of anti-terrorism campaign], in Yadernii Kontrol' [Nuclear Control], no. 5 (Sep./Oct. 2002), pp. 3749, in Russian. Stepanova E., [The impact of the 1991 Persian Gulf War on the theory and practice of the U.S. regional conflict management], in Moscow University Review, no. 3 (1998), pp. 3656.